This is the first of two columns I am devoting to the future role of the Federal Government in managing the competing demands on public policy from business and labor. This column goes in a direction that may seem unexpected given that introduction. Bear with me, and you will see where all of this going. My September column will pull it all together, I promise! The mystery I explore in this column is the opposition among “blue collar” or “working class” Americans—the majority of voters—to public policies such as progressive taxation which, at face value, impact the minority of the population that is wealthy. I acknowledge up front there is a racial dimension to this mystery per the findings of a widely disseminated study out of Stanford University and the University of California, Berkeley. But there is more going on here: a competition among two mentalities among Americans with powerful consequences for politics and public policy. Success through “hard work” is a mirage. Those who focus on “doing their job” and “being a reliable worker” essentially are “dupes,” destined never to get ahead, never to become “rich.” Those who buy into the American Dream are spending their lives making other people wealthy. The goal of economic activity is not to achieve self-sufficiency and security but to seek a pathway to huge wealth even if the chances of success are vanishingly small. People from any socioeconomic background have equal odds at success when diverting their resources into lotteries, defined as simply as the state-run lotteries or state-sanctioned gambling, or more complicatedly as participating in various dubious schemes legal, semi-legal or outright illegal. Americans who buy into the Lottery Mentality are convinced it is better to play the lottery than it is to budget carefully and use savings for purposes such as additional education and training. These same American strenuously oppose any public policies that seem to close off their access to lotteries. 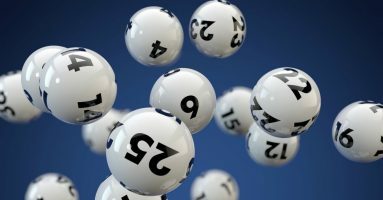 Overestimating the odds of winning, and failing to recognize that not all players are on an equal footing, they believe any restrictions on various lotteries will harm their chances of becoming wealthy. Experts in the rapidly maturing field of behavioral economics are producing excellent research of all of this. The truth is that the only guaranteed winner in a lottery is the owner of the lottery. About 99 percent of those who play the lottery will lose everything they spend on it, most right away and a few a bit later on. This is why lotteries exist in the first place — to transfer resources voluntarily from the many to the few based on biased perceptions of the odds of winning. Here is the segue for my next column. The balance within public policy between the demands of business and the need for some economic equity for low income workers is systematically tilted in the wrong direction. There is too little equity in the U.S., and our political system is in the midst of a profound crisis because of it. But this is a democracy and voting matters. As long as a broad swath of Americans subscribe to the Lottery Mentality, it is going to be very difficult to shift that balance.